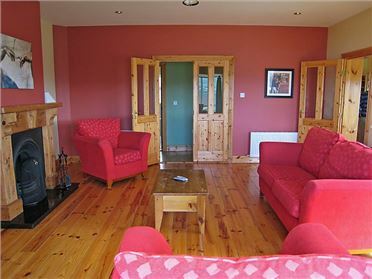 Enjoy superb luxury accommodation just 10km from the busy town of Dingle in Ventry, County Kerry. This recently-built rental cottage commands spectacular views of Ventry Bay and beach. On arrival in Ventry, drive to P O'Shea pub and take a right. Suantrai Cottage is a two-minute drive up that road on the right hand side.The recently-built rental cottage commands spectacular views of Ventry Bay and beach. During your time on the Dingle Peninsula, make sure you take a scenic drive along Slea Head (the most beautiful and rugged part of the peninsula) or Conor Pass, which will take you over the highest mountain pass in Ireland. The area is a paradise for walkers, with superb well-marked routes including the Dingle Way and the Pilgrims' Route. Golfers will appreciate the great courses, including the Dingle Golf Links and the superb links course in Castlegregory. What are you waiting for? Book your stay at Suantrai Cottage today! 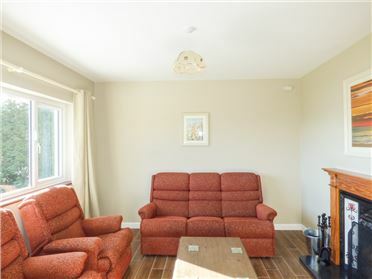 The cottage has an open-plan design with a fully fitted kitchen, comfy lounge/dining area, and 3 bedrooms. The house is finished and furnished to a very high standard. There are three bedrooms with the capacity to sleep 6 at ease. The main bedroom comes with en-suite facilities.